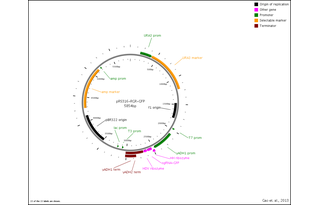 Express self-cleaving-ribozyme-flanked sgRNA cassette (RGR) targeting GFP for CRISPR systems in yeast driven by ADH1 promoter. RGR has a HH ribozyme at its 5', and an HDV ribozyme at its 3'. 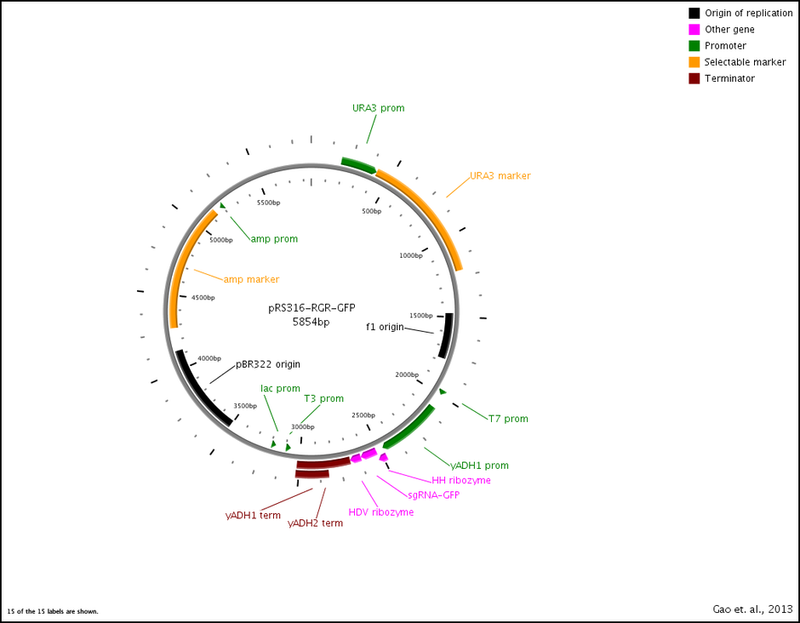 Yeast ADH1 promoter and ADH1 terminator were cloned in between the BamHI and EcoRI site, and RGR-GFP gene was inserted inbetween the ADH1 promoter and terminator.